It would have been easy to blog about the Conservative British Government’s appalling choice to muse openly about shutting down social media sites or deny access to certain users in response to the riots… but enough people have commented on how colossally dumb this is (not to mention hypocritical given that only last year Britain lectured China about freedom of speech) that I think we are okay. Instead, I’m more focused on sharing the joys of oyster burgers. Indeed, devouring one of these is just one of the many, many great reasons for coming to Tofino. 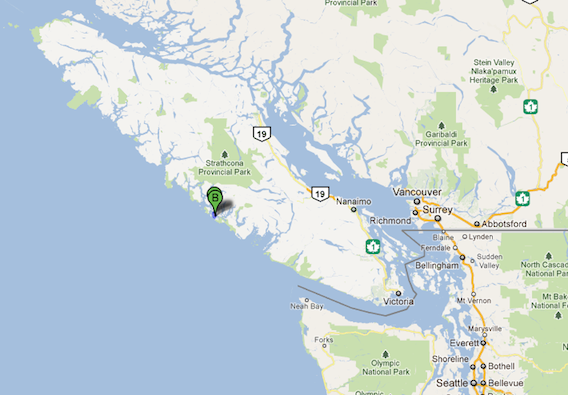 Oh, and for the many people who’ve nooooo idea where Tofino is: some maps! 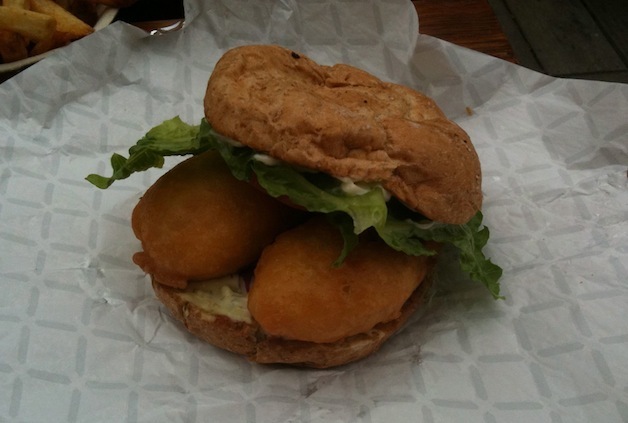 I’ve pretty casually looked to find oyster burgers in Vancouver and elsewhere and haven’t run into any success. Given how delicious these things are… it makes me wonder, why can’t I find them elsewhere? Hoping to maybe have some photos of fish tacos from Tacofino later today – although these can now, thankfully, be bought in Vancouver as well since they have street vending license for the English Bay area. Good stuff! This entry was posted in random on August 12, 2011 by David Eaves. mmm, wish I could have one right now! too bad they don’t travel well. But the oysters aren’t from Tofino. Most of our oysters come from t’other side of the island, Fanny Bay. If you’re heading to the east side, Fanny Bay is betwixt Courtenay and Parksville. Head south from Fanny Bay and you’ll find Vancouver Island Scallop Co. which has created a hybrid wild Pacific and cultured scallop that is amazing. $15 for a 5-pound bag of live scallops.